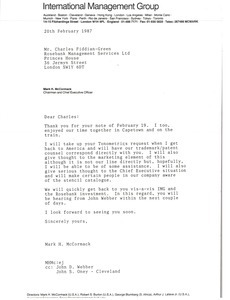 Concerning Fiddian-Green's Tonometrics request, and IMG Rosebank investment. 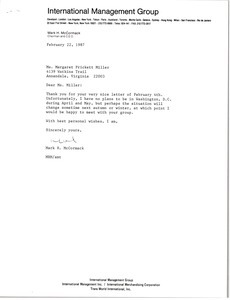 McCormack thanks Miller for her letter. 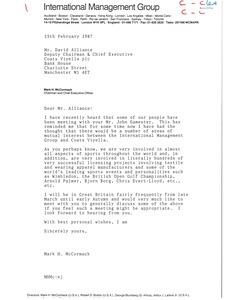 McCormack suggests meeting to discuss areas of mutual interest to IMG and Coats Viyella. 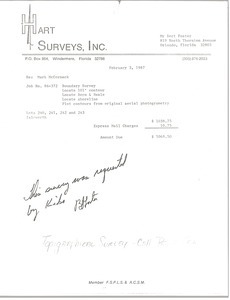 Florida - Invoice for survey work done on lots 240, 241, 242, and 243 in Isleworth. 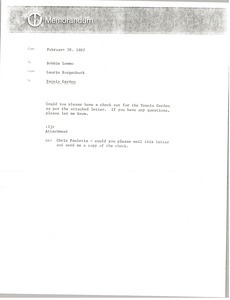 Roggenburk sends a letter regarding payment to Tennis Gardens. 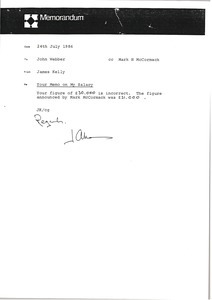 Kelly writes to correct his salary amount. 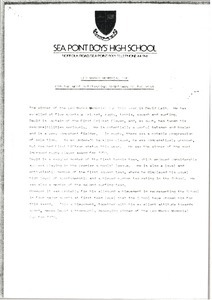 Announcement of David P. Leib's title of outstanding Sportsman of the Year. 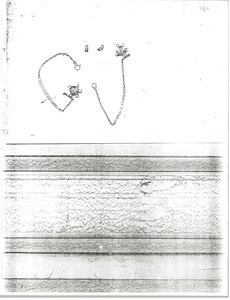 Cleveland (Ohio) - A photocopy of a photograph of Mark H. McCormack's diamond jewelery. 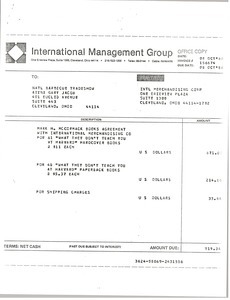 Cleveland (Ohio) - Invoice for Mark H. McCormack's books. 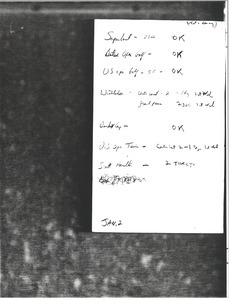 Notes on tickets to sporting events to donate to the Merrill Lynch charity ball. See mums700-b0009-f017-i022.